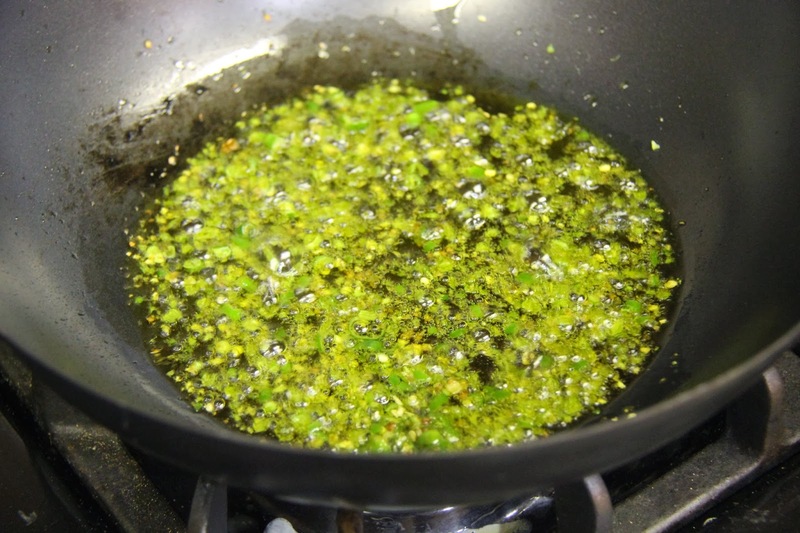 1.Take the oil from the pesto and heat it in the pan. 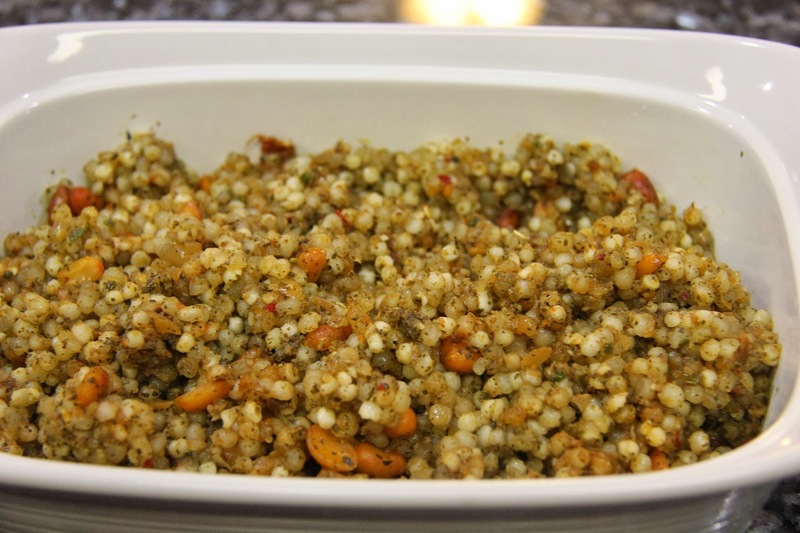 If using homemade pesto add 1 tablespoon of olive oil to a pan and heat. 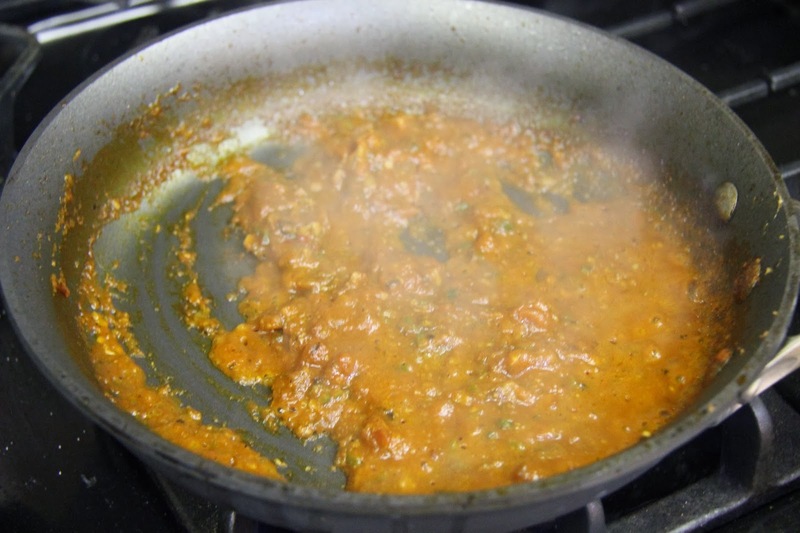 Add the green chili and saute for 1 minute on medium flame. 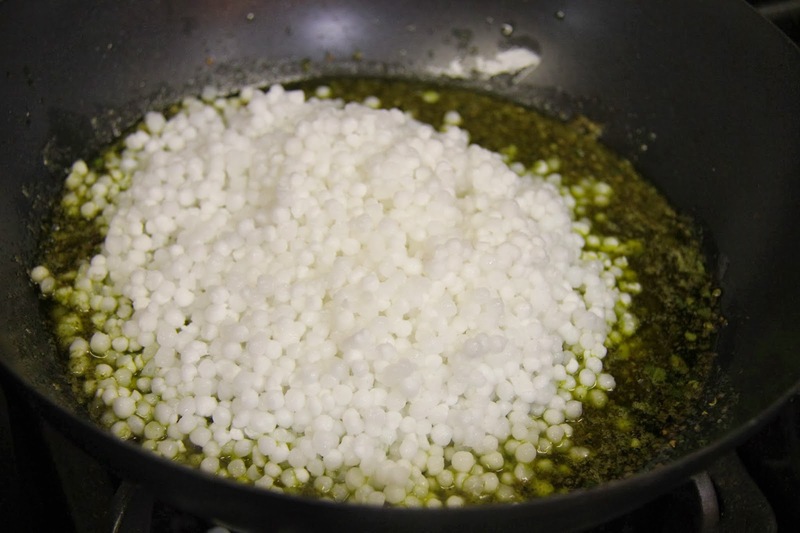 3.Add the soaked tapioca and mix and let cook for about 7 minutes stirring occasionally. Check salt and turn off the stove. Add the roasted peanuts and serve. Do not add too much sauce or overcook, the tapioca will get soggy. You can add some black pepper if you like.